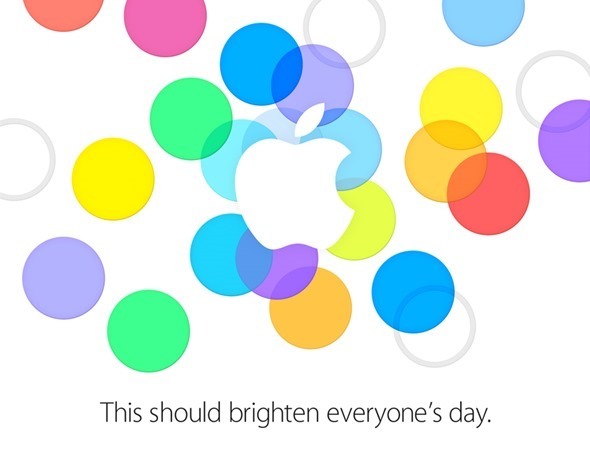 Apple's September 10th iPhone 5S and iPhone 5C event is official! Apple’s September 10th iPhone 5S and iPhone 5C event is official! Reports have been surfacing for a few days now that Apple would be holding a media event on September 10th, in which it would announce the release of iOS 7 having been in the longest Beta period yet, showcase the new iPhone 5S and iPhone 5C, and also release the next version of Mac OS X. It seems those rumours have finally been confirmed, with Apple pushing out invitations for such an event. Both the iPhone 5S and iPhone 5C are expected to be announced and showcased at this event by Tim Cook, ending months of speculation and rumours about their shape, size, specs, and price. Apple has chosen its own campus in Cupertino California to host the event, which will almost certainly see both handsets released at the same time. The iPhone 5S is expected to be offered as the higher end smartphone with a more premium build and design, whilst the iPhone 5C is expected to be offered in multiple colours, be made of a cheaper polycarbonate material, aimed at clawing back some of Android’s lower-end marketshare. To accompany these fine new handsets from Apple will be iOS 7. We’ve already seen iOS 7 at Apple’s previous events, and many have had access to the various Beta releases over the past few months aimed at developers to optimise their Apps, but we’ll no doubt see the iOS 7 GM – or Gold Master Candidate – final release shortly after the event. Expect the iPhone 5S and iPhone 5C to ship approximately a week later, which will also spark the public release of iOS 7 itself. Whilst the iPhone 5C is expected to be offered in multiple colours similar to the iPod Touch, the iPhone 5S is expected to come in a new Gold/Champagne colour option to emphasize the premium nature of the handset. What is certain is that everything will become clear on September 10th, and be sure to stay tuned to Tapscape for all the latest news and gossip leading up to and during the event.